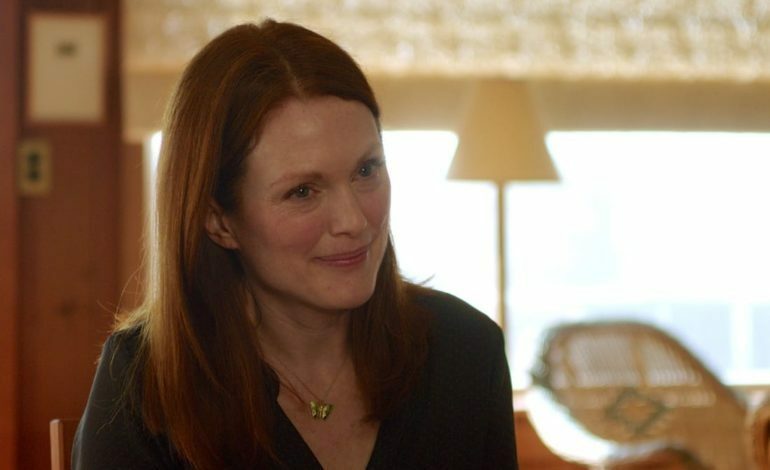 Vulture has learned, actress Julianne Moore will play the titular role of Lisey Landon in Apple TV+’s upcoming adaptation of Stephen King’s Lisey’s Story novel. King has also reportedly been tapped to write all eight hour-long episodes of the show as well. Similar to Hulu’s Castlerock, Lisey’s Story will be produced by J.J. Abrams’s Bad Robot Productions. The story follows Landon, as she begins “to uncover the terrible, fantastical, reality-bending truth about her author husband two years following his death,” with the concept of the story being derived from King’s own life experiences. After an accident in 1996 when King was seriously injured and staying in a hospital, his wife Tabitha packed up his belongings and gave the writer an idea of what his life would be like after death. Outspoken about a series adaptation for the 2006 horror-romance novel, King has been advocating for a Lisey’s Story adaptation since August 2017. This will also be Moore’s second venture working on a Stephen King work, after her role as Margaret White in the 2013 remake of the psychological horror film, Carrie. The news follows on the heels of announcements of other produced work by King, including: another Dark Tower adaptation, the Creepshow series, a remake of The Stand, and of course, the much anticipated upcoming sequel to It. Moore can be seen portraying feminist icon Gloria Steinem in the biopic The Glorias: A Life on the Road, along with actresses Alicia Vikander and Lulu Wilson, and also has a supporting role in Joe Wright’s new thriller, The Woman in the Window, with co-stars Amy Adams and Gary Oldman.